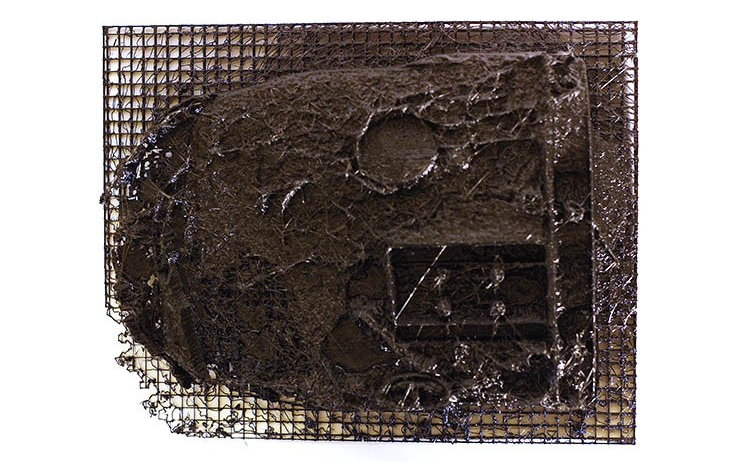 ASM_frag creates a reanimated, 3D printed object from photographic documentation of a drone strike. A hellfire missile fragment was smuggled out of Pakistan, photographed, sent through the web, and became viral documentation of a very destructive and violent moment in time. The virtual lifecycle of the missile itself was completed by the person who took the photograph. Physical missile, to exploded fragment, to virtual fragment, to exploded physical form once more. The abstraction evokes a sense of a desolate landscape; craters feel vast and peaks like crumbling buildings. The structure had to be supported during the 3D print, layer by layer, which created, strings, webs, and imperfections straying from the original 3D model. The singular object for me creates a space for contemplation and reflection. 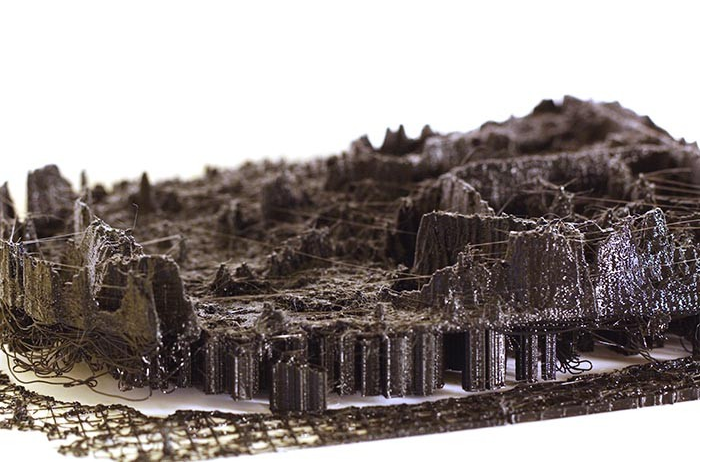 It is not shiny and perfect like many other 3D prints, but delicate, messy, and violent.